Small and unique guesthouse right in the middle of the charming historical area. Very close to the Abra boat stations crossing the Creek to Deira area. Good breakfast with several options and the hommus was delicious :-) The rooftop is available for relax and views of the surroundings. The breakfast is served in the courtyard and the area is open for the guests all day. Very happy with Orient bbstaff was excellent. Moses andxLorena took very good care of us. Orient is very well situated for Bur Dubai. Seconds from busy streets but very quiet inside the historical village. Close to Dubai Museum andAl Ghubaiba bus and metro. The Butlers at the Orient Guest House were very helpful both in terms of helping me find places, and helping me find a cheap way to do what I wanted to do. The Guest House has great atmosphere, but nowhere to really hang out, other than your room, when it's too hot to be outside. You can go down the street to the Arabian Hotel which is part of their group so that is a plus. Location wise, it's right on the edges of the Al Fahidi Historic District and within a couple of blocks of the Dubai Museum and the Old Souk so it's a great place to be if you want to walk around those areas, but it's a bit removed from everything else. Overall great stay. Place itself was great, nice comfy bed, decent sized room, large bathroom, mini bar, safe, breakfast was continental/middle eastern and was good. The only downside was location. Yes it is a close walk to the metro stations, but everything we ended up wanting to go to was a 30 min Uber away. My only con. Enter from the main road as to not get lost. Great location by the creek and souks, away from the big city but with access to the metro. Plenty of things to see and do in the area and very safe. Nice rooms of central courtyard. Our room had great AC and old world charm. 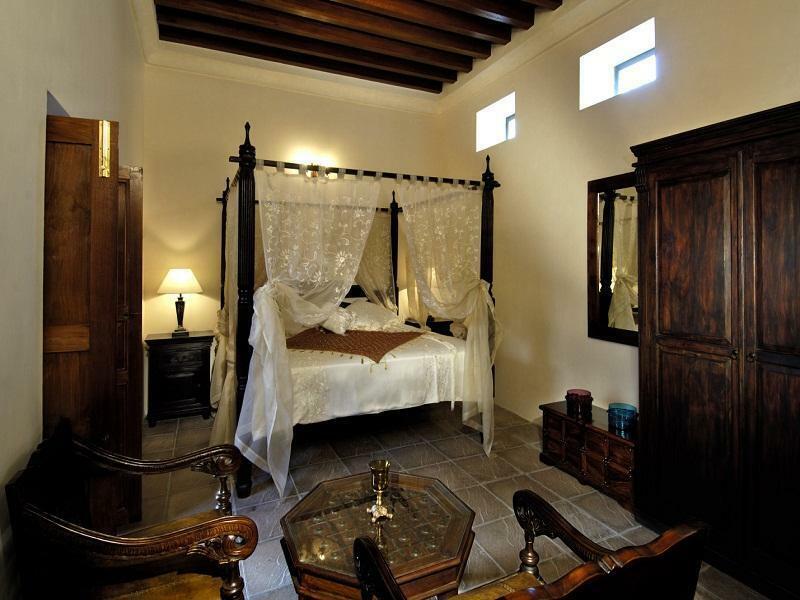 A beautiful room in an older traditional style hotel close to the textile souk and river. very easy to stroll around and have a look at a part of Dubai.An interesting and tasty breakfast combining middle eastern and western styles.Staff not particularly engaged with guestsexcept for the porter who was very friendly.A very enjoyable stay! The Orient Guest House was perfect in every way. The staff were very helpful and friendly. We enjoyed the cultural and historic features of the hotel. It has the ideal location. We loved the Al Fahidi neighborhood. We spent one morning visiting all of the museums and galleries as well as the Islamic Cultural Center. We hope to return soon. If you want to experience the historical section of Dubai, the Orient Guest House is the best way to get an authentic experience. It is within walking distance of the Dubai Museum and the Old Market Souq. I had a great time! We really enjoyed our stay. The breakfast was fresh, delicious and included a great variety. The hotel itself is very nice and our room was comfortable. The location was also convenient - in the older part of town, near the museum and a hop on, hop off bus stop. The bathroom was the only area that needed some updating and the bath towels were old and smelled strange, but otherwise, it was a great stay! Would definitely return. As before - outstanding. One has to understand: This is not your parents Hotel. It is a trip back to what things might have been 50 years ago. It is a visual experience. It is a world apart from what one expects of Dubai. Not over the top, not high tech and not $$$$$. Location is hard to beat at any $$$. Creek taxi, Museum, Shopping...you name it, all within walking distance. Recommend ABC tours while in Dubai. Tell Ancy Ann -Charles recommended you. I really liked the location. I'm a sucker for traditional, quaint neighbourhoods, so this was perfect. Although I subsequently moved to a more expensive hotel in the city that had a spectacular view of the Burj Khalifa, I still missed this place. Coming from Singapore, I am not awed by skyscrapers. The room was not brightly lit. I am not sure if this was part of the ambience but it was quite impractical. Room was also very squeezy! I found the old school lock very cumbersome too. Perhaps, to engage the hotel guests further, the hotel could have held activities in the courtyard. It's a beautiful establishment but somehow not exploited enough. Rooms are quiet and the beds apparently good, since we slept well. As a very frequent visitor of Dubai I stayed in many hotels, some good, some bad. Orient Guest House is definitely one of the most disappointing experiences. It could easily be turned into a real jewel, boutique hotel style, kind of a small budget Bab al Shams and maybe it was when it opened. Since then apparently nobody cared about the site at all. Some examples: The light fixtures were broken, some with exposed cables, the faucets are not fixed and do not work properly. The interior is old in a filthy sense, the bathroom is more than ready for a complete makeover. For some reason someone installed a pink Baskin Robbins cart in the picturesque yard, very odd and destroying the entire ambiance. Breakfast was mediocre, which is not uncommon in the UAE, but the grim and unfriendly staff is. I would come back if they did a major refurbishment and once the real thing looks like the images on their webpage. But not before. Really is the best hotel room we ever been.. i recommend tourit to discover this world . The butler was fantastic. Everyone was very accommodating. Breakfast was good and on time. We had a problem with our room at 1am (the AC wasn't working) and they promptly moved us to another room. Great location, good for walking/exploring and away from crazy new Dubai. I can highly recommend a stay at a traditional building like the Orient Guest House in Dubai. สถานีรถไฟใต้ดิน Al Fahidi - ระยะ 0.65 กม.